Some people literally will go in and try to record music with a simple mic, with the amp super up close. While it’s good for isolation, it creates a bad sound quality, since many cabinets don’t give good sounds at a distance, and unless the internal reverb is used, the quality of this will make it sound like it has no depth and air. You should try to use multiple mics in a room since it will create a more blended sound, and a good amp too. This is probably one of the most common mistakes, and while it doesn’t have to be expensive, you want something that holds your music well. Getting a drive docking station will run you about 20 bucks, and it will hold your music well. You can also get a USB drive in different sizes too. If you want to, you can even use cloud storage. But, don’t try to rely on some crappy USB to hold your music, instead be willing to pay a little more for quality products. If you don’t have a good source, be ready to pay the price down the road in terms of trying to “fix it” later on. Guitars should be put together in a way that they stay in tune, and make sure that you have the sound created well at the beginning. Literally, before you even consider playing one song to practice, make sure the bad boy is tuned, so you’re not fighting the source later on when trying to edit it. When you’re trying to record a good sound, make sure that you’re getting all of the speaker sounds from the amps. It does affect the sound wave that’s pressed out since it can create a different sound completely, and it does affect the interference and some differences. High-power apps are guilty of this more than anything, so make sure that the speakers are all equally putting out the right sound you desire. Before you even begin recording, you should make sure that the mics are tweaked and played around with, and make sure that you compare the sounds a little bit. See what it sounds like, and quickly choose for yourself what works best for you. Sometimes, even just moving the mic a little bit can change the sound quality. Using your ears also will prevent you from just erroneously following a template. If you have multiple instruments, you want to make sure that you don’t let the sound leak, especially from other microphones in the area. This includes if you’re alone recording with multiple mics. You should isolate mics that are more sensitive, and you should make sure that you create gobos for anything that you need. You should try to use a direct box if there are any base frequencies that need to be recorded. If possible, keep the mics close to avoid leakage, so that it sounds better as well. There are three types of mics, a dynamic coil, dynamic ribbon, and the condenser. Each has different personalities. You want to make sure that you’re recording with the right mic for your instrument. For example, you may not need a ribbon mic for your recording, but maybe a condenser. 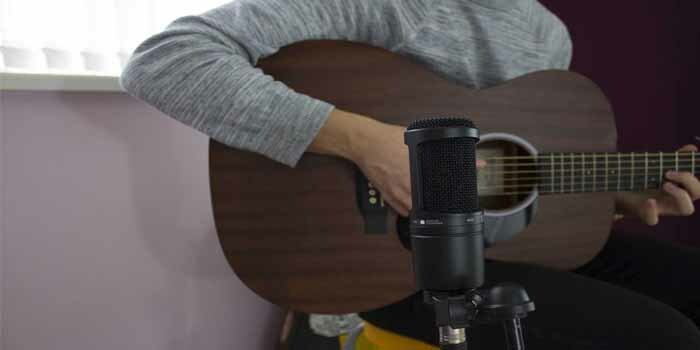 You might not need a dynamic moving coil one unless you’re adding drums to it, and condensers are used for vocals, but they also work well for acoustic guitar, but the ribbon is actually the best one for electric, so remember to get the right mic for the job. You would be surprised how much this has happened. This is so simple, but you should never do this if you’re trying to prevent things from crashing. 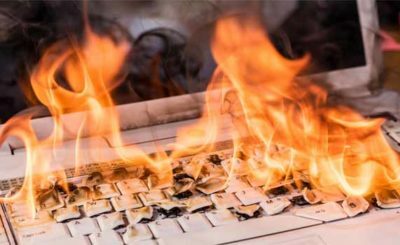 Never store files on the same hard drive that you’re using for recording software. The reason why is simple: overload. If you do that, it can crash everything, and you’ll lose it. The best thing to do is to save it to an external hard drive, and you should try to get a USB 3.0 hard drive if possible, especially to prevent issues from happening. And finally, there is this one. Cheaper is not always better, and many times, you’re going to get a bad sound out of some shoddy 100-dollar set. Sure, it’s inexpensive, but they wear out more, and you’re fighting with that easily. It also may have poor sound, so you’re just going to have to sell them, losing money on the resales of this, and then rebuy what you should’ve gotten at the onset. Seriously, research what you get, find the best one that works for you. Go to an electric guitar store Melbourne and talk to the associates there for extra help. They can make it easier for you to understand what you are doing wrong, and how to rectify it. Learning to record electric guitar isn’t simple, it also contains a lot of work, so being smart with the way you do so plays a major role in the success of your recording sessions, both at the beginning of your endeavors and as a veteran player too.